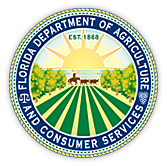 The Florida Department of Agriculture and Consumer Services (FDACS) offers a wide variety of employment opportunities from consumer and environmental protection to promoting Florida’s vast agriculture and aquaculture industries. The Department has its own agricultural law enforcement office and a highly trained forestry division charged with fighting wildfires and protecting Florida’s vast forest lands. The Department is an equal opportunity employer and encourages people to review the job listings to find out if this agency can offer them a career opportunity.